Posted on May 7, 2015 May 7, 2015 by Tish Farrell	This entry was posted in photography, poetry and tagged creative writing, lions, One Word Photo Challenge, storm, Tish Farrell Writer. Bookmark the permalink. ← Is it really spring? I loved this! You already know I have a soft spot for African cats 🙂 This post made me shiver, I can almost feel the tension. 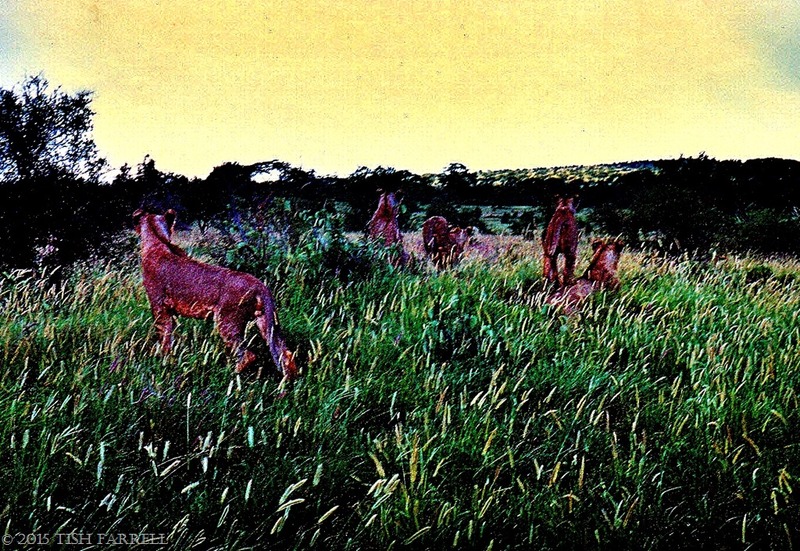 My husband & I continue to dream of the day we can go on an African safari… Thank you for sharing. What a fantastic experience. Thank you so much for sharing this. I love the big cats. Janet. You are v. kind, Debbie. Thanks. That must have been an extraordinary moment. Thanks for sharing it. It was indeed a very amazing experience, Melissa. Beautiful piece of writing Tish. Your posts keep giving and giving – diverse pleasures. Am v. touched, Meg. Been thinking about you in Warsaw. Lions before the storm, what a fantastic adventure and stunning moment. Beautifully done, Tish! I love that each of your posts transport me to unfamiliar places. Your images are magical and I can certainly feel the emotion in your words. This post made me catch my breath both with your words and captures Tish. Absolutely wonderful, both words and photos! Loved it, Tish. I’m yet to see them in the wild. Would I feel exhilaration or fear? Probably both, but I may not be able to tell the difference at the time, I suspect. You must have enjoyed this experience. You raise an interesting point, Draco. It’s surprisingly easy not to feel afraid during close encounters, which could be very foolish (?). I’m not sure. The Maasai have their corrals and walk about in the bush where there are large prides of lions. We, of course, were in a vehicle, albeit with the windows open. 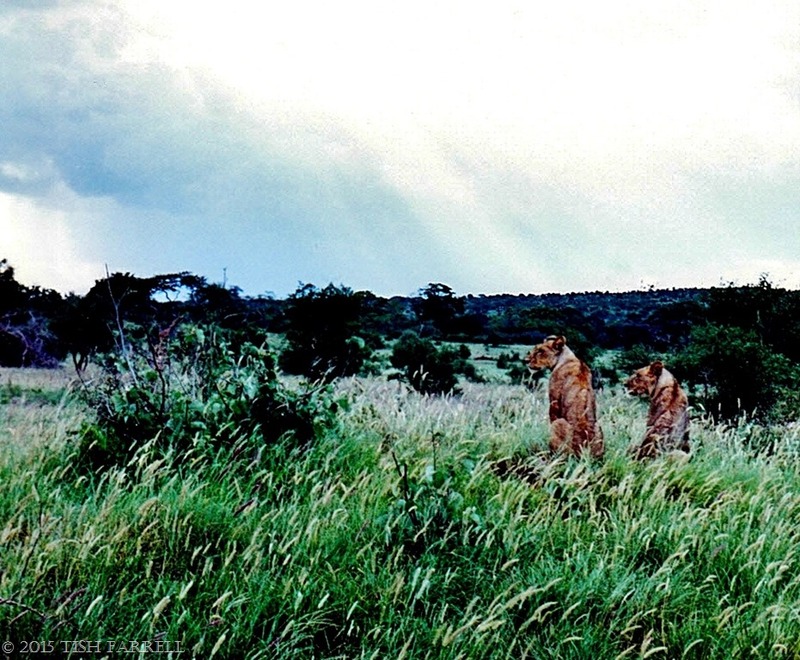 All the same, it was a surreal experience – the lions’ disregard for our presence. Simply amazing! I love the sky, and the lions’ manes. What sweet cats! Enjoyed your description very much. Such beautiful words to describe the majestic fearless creatures in their natural habitat. We lived in Lake Naivasha, just outside the Hells Gate National Park for 15 months. The peace and serenity of the country with such wonderful people and great culture stirs up many great memories. An open top Landcruiser in the Maasai Mara National Reserve was wonderful to cap the final days, with camera in hand and the thousands of animals wandering about looking as splendid and free as they were. Your words invite me back and make it so fresh in mind. I look forward to going on more journeys in your game park! You paint such vivid colors into your words! You sound to have had a wonderful time too in Kenya, and what a fantastic place to live by Hells Gate. It gets under your skin, doesn’t it. Glad you enjoyed the post. It totally did get under the skin and in the blood. The memories are vivid to this day!